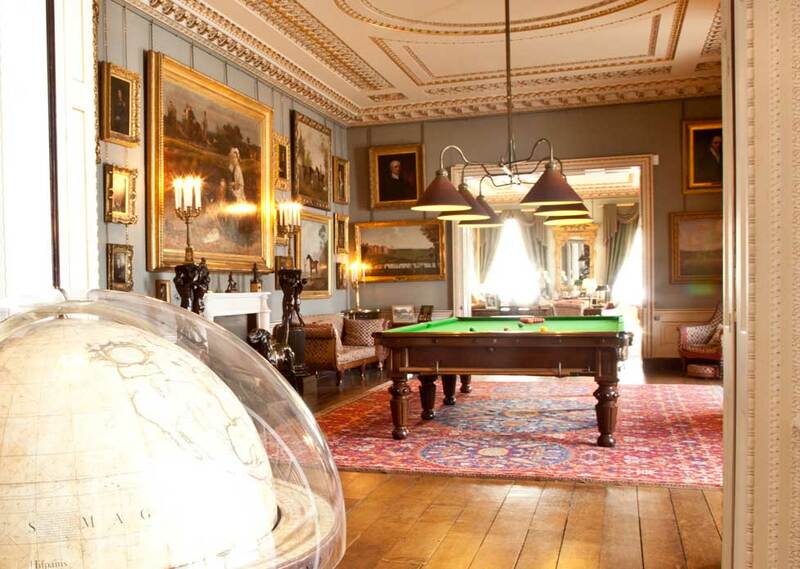 The centre of the three-roomed ‘Holland Suite’, overlooking the Deer Park, this room traditionally contained the favourite paintings of the Earl of the time. 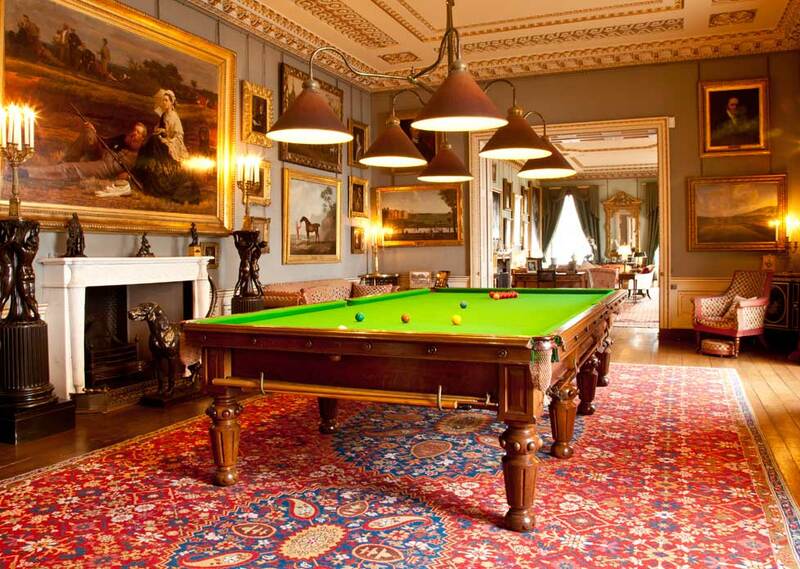 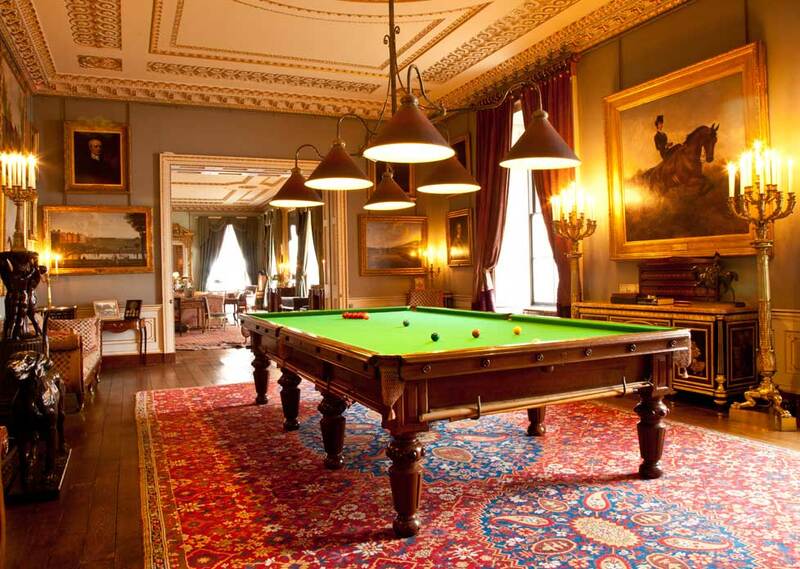 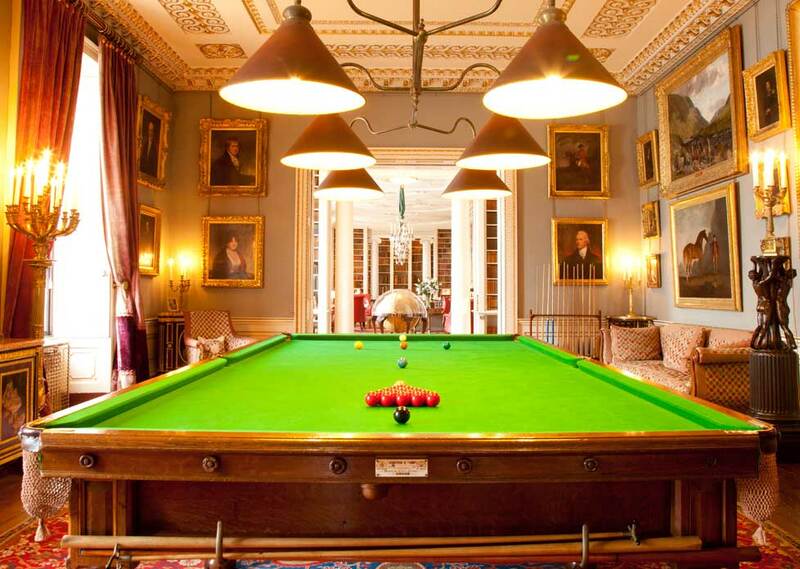 Today, though, it is the home of the Spencer family’s billiard table, which was rescued by the present Earl from storage in the Stables. 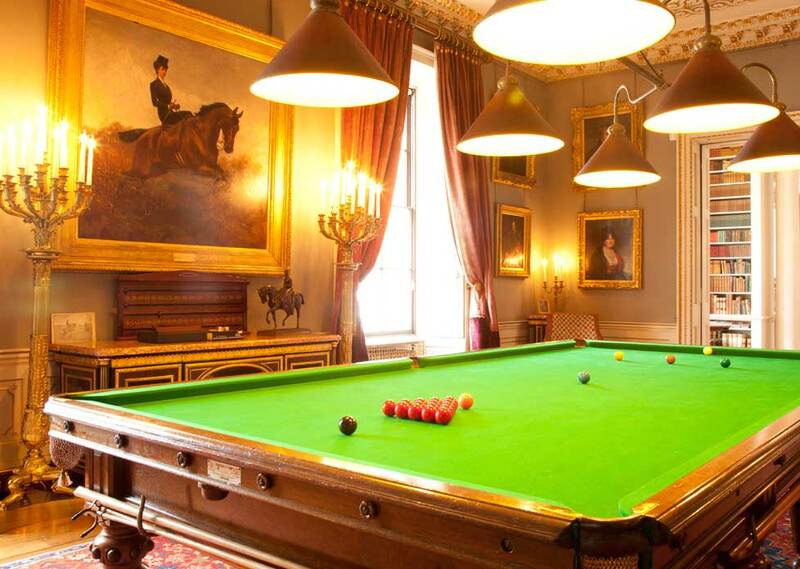 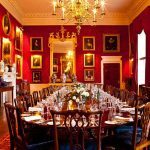 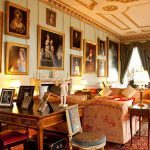 It lends the whole room the air of a Victorian sporting room – a feeling emphasized by the larger canvases, which include a dramatic portrait of Elisabeth, Empress of Austria, hunting side-saddle. 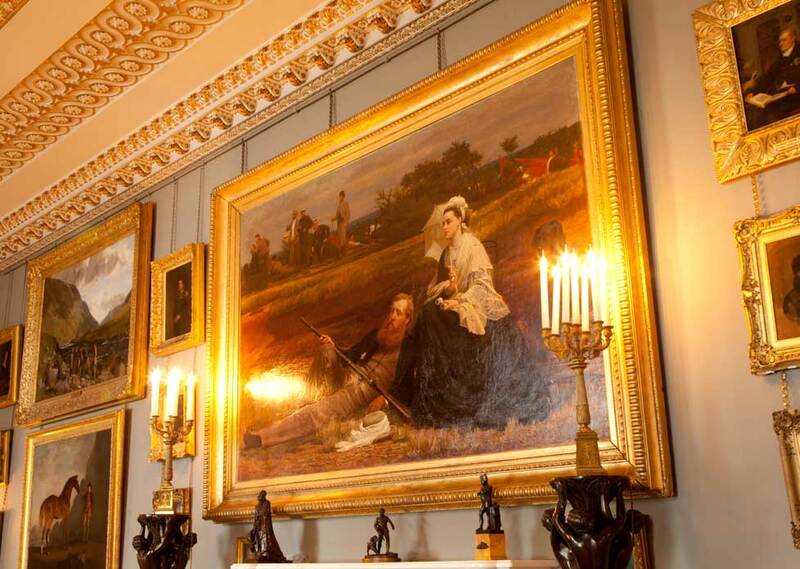 Considered the most beautiful woman in Europe, she was a frequent guest of the Red Earl and his wife Charlotte, seen relaxing with Victorian languor hanging opposite, on the historic Spencer property of Wimbledon Common.